IF YOU WOULD LIKE TO SUPPORT THE SHOW YOU CAN HEAD OVER TO WWW.WOODSHOP101PODCAST.COM/LISTEN FIND THE SHOW NOTES FOR TODAY’S EPISODE AND THERE WILL BE LINKS FOR SMALL ONE TIME DONATIONS AND RECURRING DONATIONS. IF YOU WANT TO BECOME A PATRON OF OUR PATREON CAMPAIGN THEN HEAD OVER TO HTTPS://WWW.PATREON.COM/WOODSHOP101. ALL OUR PATRONS RECEIVE AN AFTER SHOW TWICE A MONTH AS A BENEFIT. 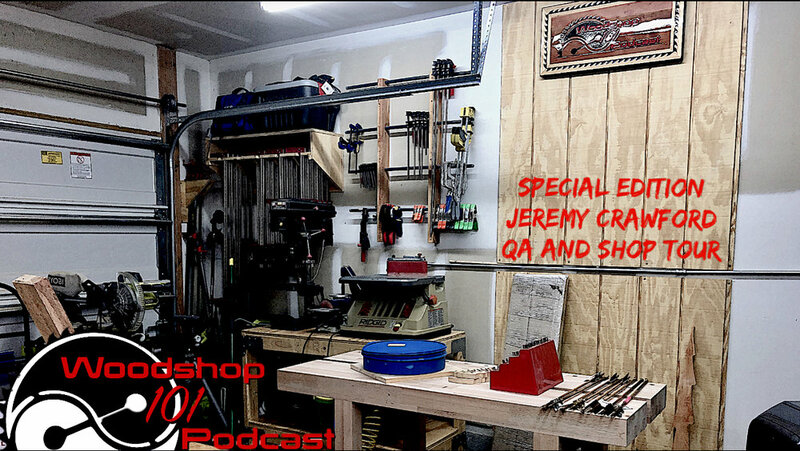 YOU CAN ALSO SUPPORT THE SHOW BY BUYING A WOODSHOP 101 PODCAST T-SHIRT, HOODIE, OR REVMARKER PACK. HEAD TO WWW.COUNTRYSIDEWORKSHOP.COM/SHOP FOR THE LINK. Thank you to our current supporters: John Ramminger, Sean McHenry, Carl Mose, Neil Sims, Eric Rhoten, Jeb Braswell, The Wood Victor, Dad and Daughter Workshop, and Bryan Collette.